Can climb walls of the pool. Has lasted over 2 years. Two-wheeled version struggles with grip. 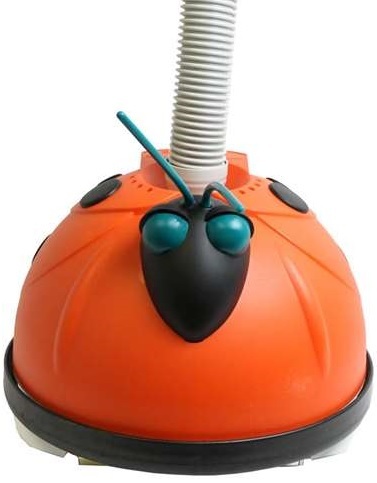 This is the summary of consumer reviews for Hayward Poolvergnuegen 896584000-013 Pool Cleaner. The BoolPool rating for this product is Very Good, with 4.20 stars, and the price range is $325.00-$369.00. In general, reviewers seemed pleased with this pool cleaner. The Hayward Poovergnuegen did exactly the job customers wanted it to do. It was user-friendly. Nobody had an issue with assembly, and many noted they could make repairs and adjustments themselves. This pool cleaner has automatic redirection. If it runs into an obstacle, it knows how to turn itself around! 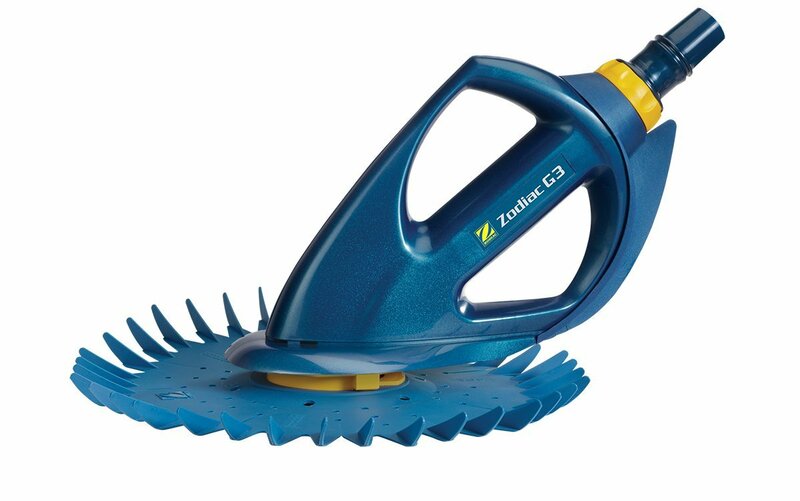 Furthermore, the gripped wheels and the sucking action of the vacuum allows it to climb walls and clean the sides of your pool. With the option of purchasing a two-wheeled or four-wheeled model, Hayward is considering pools both big and small. When it came to performance, reviews of the Hayward Poovergnuegen Pool Cleaner were mixed. Most agreed that the cleaning and sucking power was satisfactory; however, many noted that it struggled climbing up the wall. Furthermore, while this pool cleaner appears to last a long time after a while customers noted it making loud sounds. From those who noted the Hayward Poovergnuegen Pool Cleaner could not climb their pool walls, most also professed they had the two-wheeled model. Many of the satisfied customers noted they had the four-wheeled modeled. 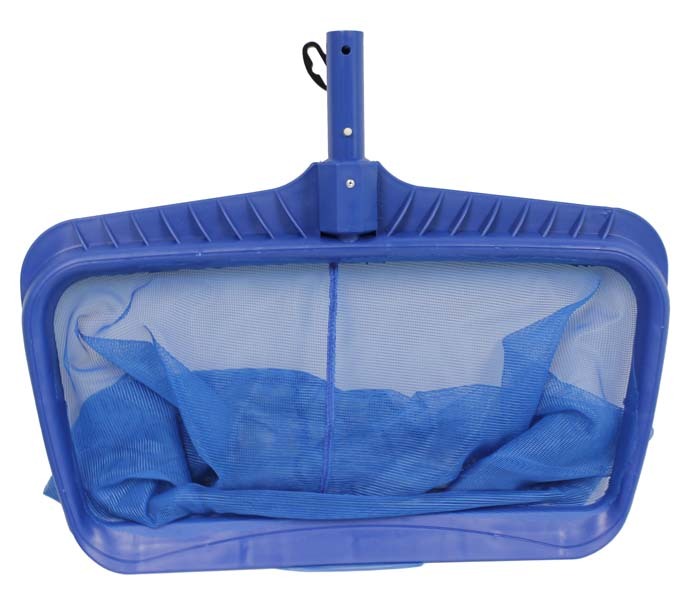 Because this pool cleaner appears so user-friendly and that it is long lasting, the Hayward Poolvergnuegen 896584000-013 Pool Cleaner sounds like a solid purchase. Just make sure to purchase the four-wheeled model. I can run the pump on 1250 pump rpms with 2 skimmers, and it still moseys around - going right over the beehive drains or spinning around them. I can run the pump on 1250 pump rpms with 2 skimmers and it still moseys around - going right over the beehive drains or spinning around them. I found that to get the recommended RPM I'd to divert most of the suction from the pump to the vacuum, with only a small flow from the skimmer, plus operate the pump near its top speed. We bought this at the recommendation of our pool guy. The larger debris ends up in the pump strainer. This comes highly recommended from all pool care enthusiasts and I'd recommend it as well. - AO Smith 1HP pump, two years new. Update after 18 months: The cleaner has been completely trouble-free for many months. We thought maybe it was the pool pump, but that's checked out to be fine. The guy who re-did my pool recommended I also get an in-line basket to collect the larger leaves so that they don't cause additional wear on the pump. Used the indicated number of hose segments, then timed the wheel rotations per minute, and adjusted the suction until we got the right speed. Used the indicated number of hose segments, then timed the wheel rotations per minute and adjusted the suction until we got the right speed. This vacuum really keeps up with the cleaning which leaves more time for playing. I really have nothing negative to say about this product, except (getting really nit-picky): This unit runs both wheels for a time, then reverses one wheel briefly to keep from getting stuck if it's run against some obstacle. Directions were easy to follow and I was cleaning the pool in no time. The Pool Cleaner is doing a great job keeping the pool clean. With the wheels and the automatic redirection after so many wheel revolutions, this simple covers more area faster than the skirted units. It could spend a little more time in the shallow end. But the pool is clean every time I check. 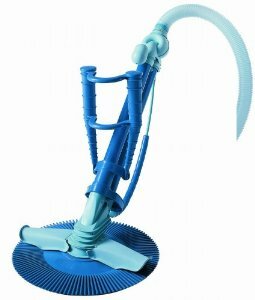 Overall this's a great pool vacuum, decently fast, better designed than our previous one and it cleans way better. I found a maintenance manual on the Internet that said that worn wheels cause the unit to climb out of the water and make a lot of noise. 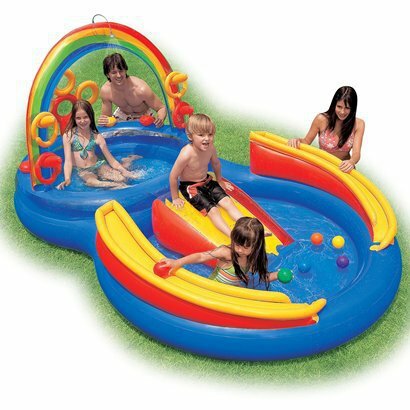 I chose the 4-wheel version over the 2-wheel version because it seemed more stable and would provide more grip when climbing walls and deep parts of pool. I chose the 4 wheel version over the 2 wheel version because it seemed more stable and would provide more grip when climbing walls and deep parts of pool. Originally, I bought the 2 wheeled version but I later exchanged it for the 4 wheeled version. Tech support says run cleaner at 12-14 wheel revolutions per minute.If you've a deep pool, buy the 4-wheel version or get the 4- wheel cam that runs 10 ft and then turns. Therefore, the 4 wheeled version is able to fully clean the shallow end and the deep end. If you're trying to decide between the 2 wheel and 4 wheel model and you've a standard 15'x30' pool definitely get the 4 wheel. It easily climbs the walls. This part is compatible with both 2 and 4 wheel pool cleaners. It's the same part where it connects the wheel. 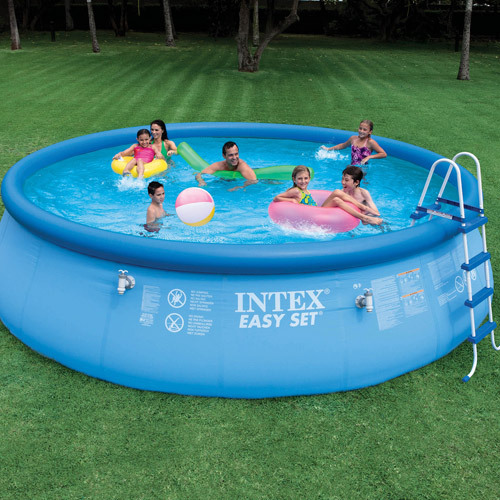 I use the 4 wheel model for a 15x30 pool (7 feet deep) and this thing does an incredible job. They make this in a 4 wheel version which would prevent that. It cleans the pool really well. Really works well and very adjustable. Update: After 3 months in action it still works well. The four wheel Hayward Poolvergnuegan Pool Cleaner cleans very well, but I've a few problems. Pool sweeps tend to be good at first, then after the first repair or rebuild, they don't work as well. This works well with our down-sized pump (1.5 HP to 1 HP). Update: 2 years in use and it's still working well. 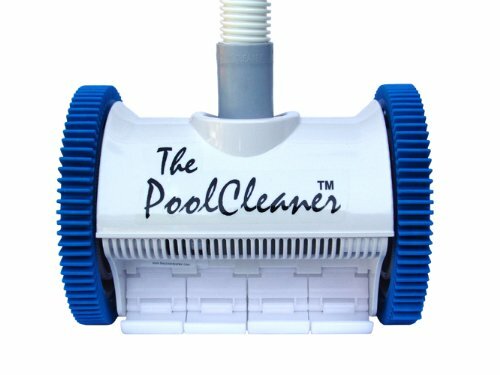 Small price to pay for a pool cleaner that works this well. 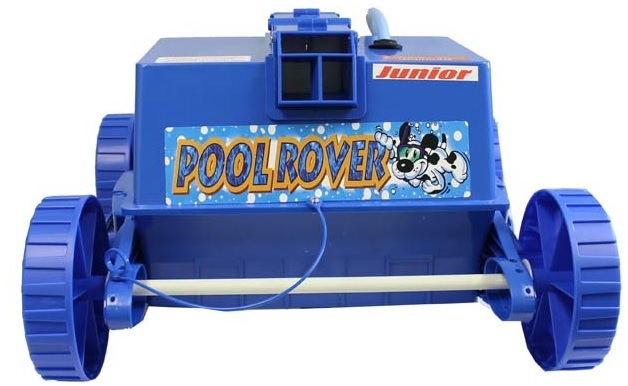 Before buying another pool cleaner I read reviews carefully and noticed that the Poolvergnuegen was highly recommended by pool service professionals with the emphasis on it working well, being easy to repair, simple to operate, quiet and lasting a long time. This one is starting out really well. Unit is climbing the walls and cleaning great. Conclusion: The four wheel wheeled unit navigated my pool up entire walls, two wheel didn't climb walls or steep slopes in pool. This unit does clean the bottom very well and doesn't get stuck however, it requires a lot of suction, and doesn't climb the walls. My unit still doesn't climb my pool walls (Diamond Brite) but it does a very good job at cleaning the bottom. Followed the instructions and took unit apart, nothing obvious, pushed the paddles into alignment, that enabled right wheel to move again. In my pool the two wheel unit didn't crawl up the walls at all, it'd rock back and stayed on the bottom which made me get out my pool brush to clean the sidewalls. After trying the two wheeled unit out I decided to return the two wheeled model after I ordered and replaced the damaged parts broken by kids trying to ride my older four wheeled unit (parts I replaced Poolvergnuegen 896584000-112 Front Right Gear Drive Assembly Replacement for Select Pool Cleaners, and Poolvergnuegen 896584000-136 Steering Slide Assembly Replacement for select Pool Cleaners). But it was extremely easy to disassemble (3 screws) and cleaned the gears and put it back together less than 5 mins to clean the unit. Anyway my pool guy suggested I replace it with a two wheeled unit (which is similar to the four wheeled I've) that it'd save money on since purchasing the two wheeled unit is cheaper and I should experience the same cleaning results. The axle for one of the wheels (I've the 2X model) snapped after the unit fall off the walls so many times I guess. The two wheel works great and covers my entire pool. We've the Pentair 011018 IntelliFlo Variable Speed High Performance Pool Pump, 3 Horsepower, 230 Volt, 1 Phase - Energy Star Certified, and it works perfectly. So.... i bought a clip to go over the drains...didn't work. I'm not a professional reviewer but wanted anyone that's considering this product to know that it works ok, but like other cleaners, it gets plugged up with about anything and quits working. I read somewhere that they don't seem to work well with variable speed pumps, but that simply isn't true in our case. I bought the special traction wheel option for fiberglass, but the standard wheels as shown above work perfectly. Works great, right out of the box. This seems to cover the entire bottom of our pool well but it doesn't climb walls well. I brush the walls once a week and it collects the entire bottom. 3. It gets stuck in areas where the bottom meets the wall where there's no curved transition (e.g. near the steps where the walls are perpendicular to the bottom). However the Pool Cleaner seems work pretty well at 14 RPM. Really did a good job picking up debris. One final tidbit, when I first put the thing together, The Pool Cleaner wouldn't go up the sides of the deep end, I'm not talking vertical walls, but just the 40 degree slopes around the bottom of the deep end that lead to the vertical walls of the pool. If you can hook up a kreepy krawly...this's 200 times better!!! It also has no problems with the raised pool drain at the bottom of the pool. Once the RPM is set, then you want to divert the suction between your main drain and skimmer just enough so that the cleaner climbs up your side wall until the wheels hit the protruding notch and the cleaner climbs just a bit more then falls down or falls down immediately. If you want this cleaner to work you better get a good brush and stir up everything on the bottom and hope the dirt is picked up before it settles again.JUST MY OPINION. At slower RPMs, cleaner travels all over the pool, except climbing the walls. It does a pretty good job of keeping the pool clean. At slower RPMs,cleaner travels all over the pool, except climbing the walls, and does a pretty good job of keeping the pool clean. At 2700 RPM it'd climb walls. The 2 Wheel Pool Cleaner works decently but doesn't even start to climb any walls. This climbs about 1/3 of the way up the wall but won't climb up the steps. It climbs the walls and depending on where you put the floats on the hose it dang near climbs out of the pool; it even climbs onto the bottom step occasionally and once I caught it on the second step and ledge just cleaning away. Given the low pump speed and reduced suction, it doesn't climb the pool walls like others experience, but I've a weekly chemical service that includes brushing the walls of the pool, so this isn't really an issue; they sweep the walls, debris settles, Poolvergnuegen scoops it up. It climbs the walls vertically (makes a super loud suction sound when it gets to the top of the wall) and it crawls the walls horizontally! We've a 45K gallon pool, kind of a kidney shape and and the deep end is 10ft and this thing climbs the walls even at the deep end!!!!!! It's hit or miss whether it'll climb walls and sometimes it'll climb to the first step and get stuck for hours. 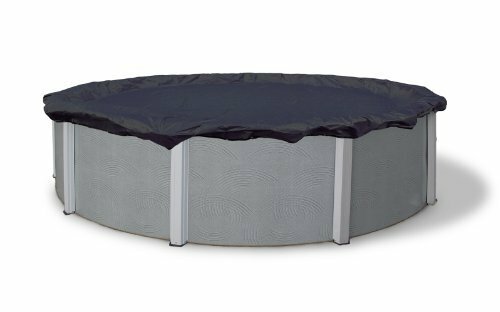 I replaced this with the $100 suction and climb wall one and see that one is far more superior than this in terms of cleaning the overall pool bottom and wall.